Welcome back to Slumber Party week here on Moms & Munchkins! Today we’re sharing slumber party games for girls. So far we’ve shared ideas for decorations, home spa activities and we have breakfast and snack ideas coming soon. 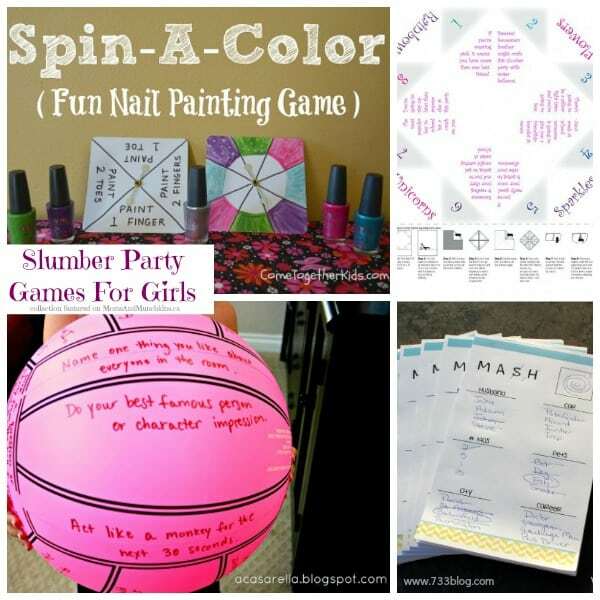 You can check out all the fun ideas in our Slumber Party category. In this collection of ideas, simply click on the title of each idea and it will open up in a new window for you. There are a lot of free printables here to share! Do you remember the fortune telling game called MASH (pictured above)? 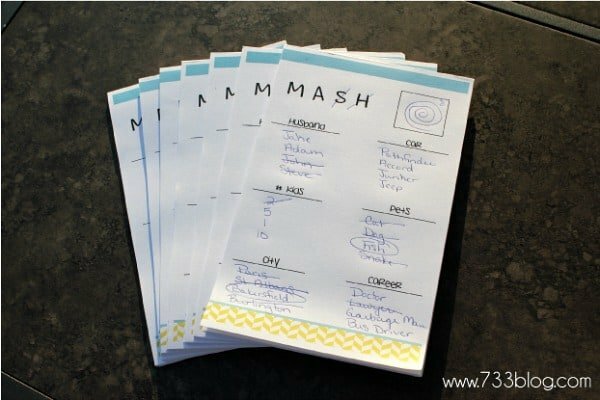 Over on Seven Thirty Three you’ll find a free printable that can be turned into a fun game that’s sure to cause giggles! You can even print some to go home as party favors. 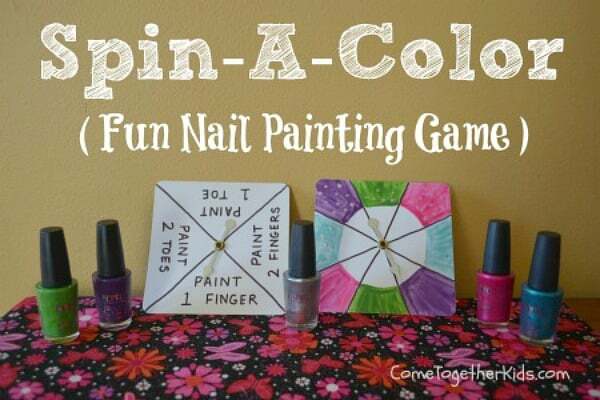 Now this is one spin-the-bottle game I’d approve of for kids – spin-the-color nail polish game! Check out all the fun details on Come Together Kids. 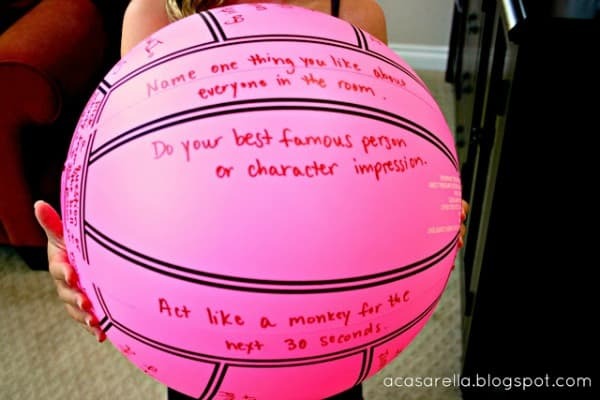 This Truth or Dare ball idea on ‘a casarella is such a fun idea! You can customize the questions and dares to make them age appropriate for your guests. Here on Moms & Munchkins we have a free printable Truth or Dare Game that is family-friendly. You can also check out my post on MommyPage of Glow In The Dark Game Ideas. You’ll find loads of slumber party games on Party Games Plus. There are enough ideas there to plan quite a few slumber parties! 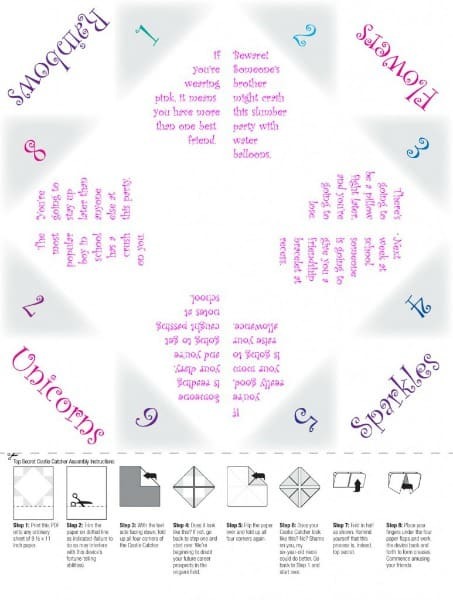 Over on Fold Me Up you’ll find a fun & free printable Cootie Catcher with fortunes. 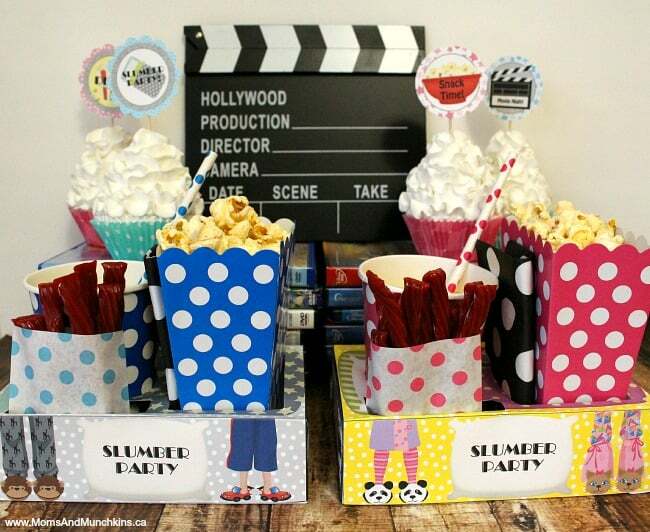 For a Slumber Party Movie Night – check out our adorable printable movie night snack boxes. 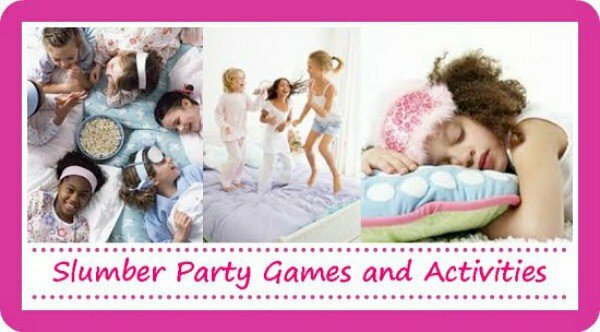 Don’t forget to visit our special Slumber Party category for even more fun ideas like decorations, activities, snacks, breakfast ideas and more. We’re always adding new ideas for parties and family fun. Stay updated on the latest ideas by following us on Facebook, Twitter, Pinterest, Google + and Bloglovin’.